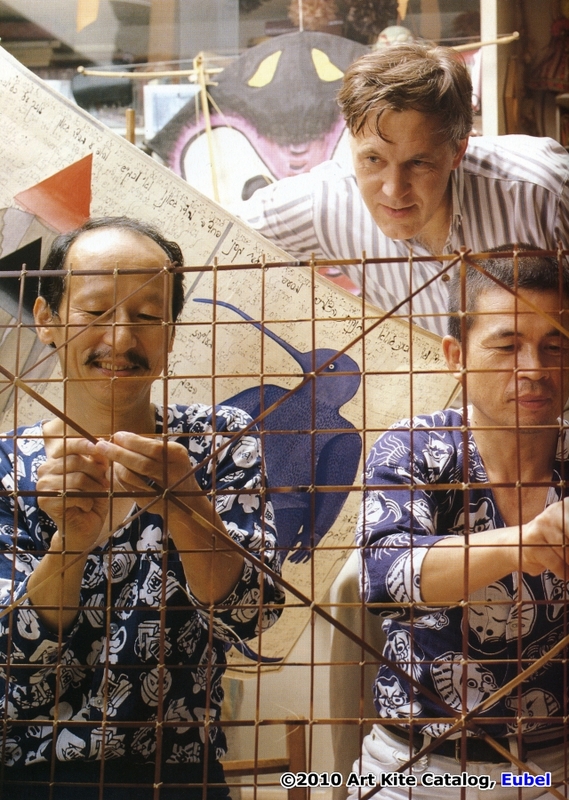 Through the years, starting before the exhibit was finished in 1989, and continuing today, there has been a teammate of Dr. Eubel who has been a constant friend and close ally to the Art Kites, world renowned kitemaker, Nobuhiko Yoshizumi. Nobuhiko Yoshizumi, of Kyoto, Japan, is a retired “salaryman” who came to kites late in his working life and in his retirement. 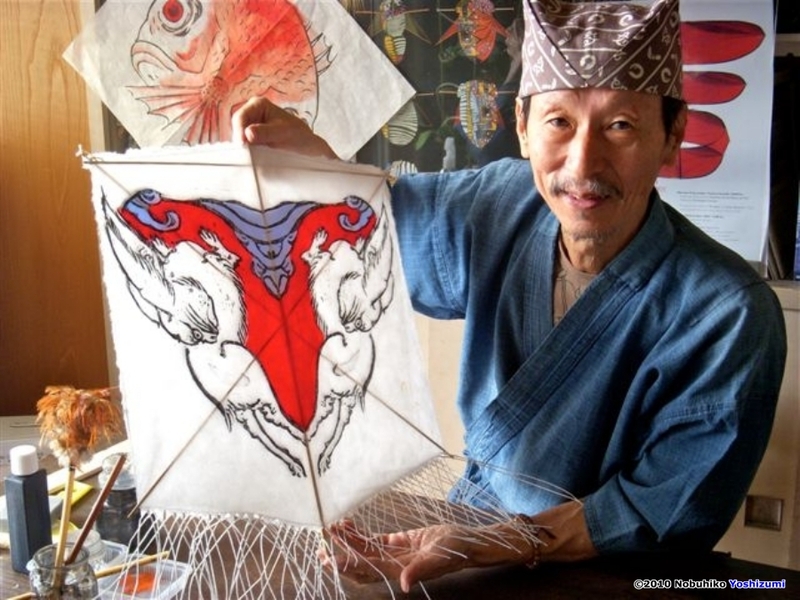 As an amateur kitemaker, and one from Kyoto, he had the freedom to learn about and make any style of Japanese kite, so when he and his very active kite club were asked to make kites for Art Kites they were able to build a variety of traditional shapes. During that preparation time it probably became obvious to Dr. Eubel that Yoshizumi-san would be the caretaker of the Art Kites. Throughout the subsequent 20 years of travel, after every move, and before every installation, there was Yoshizumi-san, with Dr. Eubel and the kites, preparing and repairing the collection for exhibit. It was Yoshi who was with Eubel at an Art Kite exhibition site when they opened up the large container of Japanese kites in the middle of the night and realized the humidity of the new location was a tremendous extreme and unless they wanted to hear and see “popping spars and tearing paper” the next morning, they better start throwing bucks of water on the floor underneath the kite to bring up the moisture of the room where the kites remained. From the beginning, their relationship was more than professional and as they worked together, their lives became personally entwined. 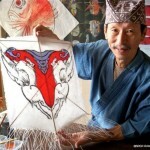 During this twenty year run, Yoshizumi-san has become even more respected as one of the great kite makers of Japan. In the United States we know him best for his activity with miniature kites. He holds the official Guinness World Record for the world’s smallest kite and was an active correspondent in the International Friends of Small Kites. He has led many Drachen Foundation workshops with schoolchildren, college students, and adults and has developed Japanese kite kits that are straightforward and foolproof. His list of venues is as impressive as any top notch rock group. His name has become synonymous with that of the “Japanese kite,” as he visits schools or festival venues whether it be in the snowy treacherous town of Dillon, Montana (his plane could not land after three attempts, so he also saw much of Utah and Colorado that day pinballing from airport to airport) or the beaches of sunny Cervia, Italy. 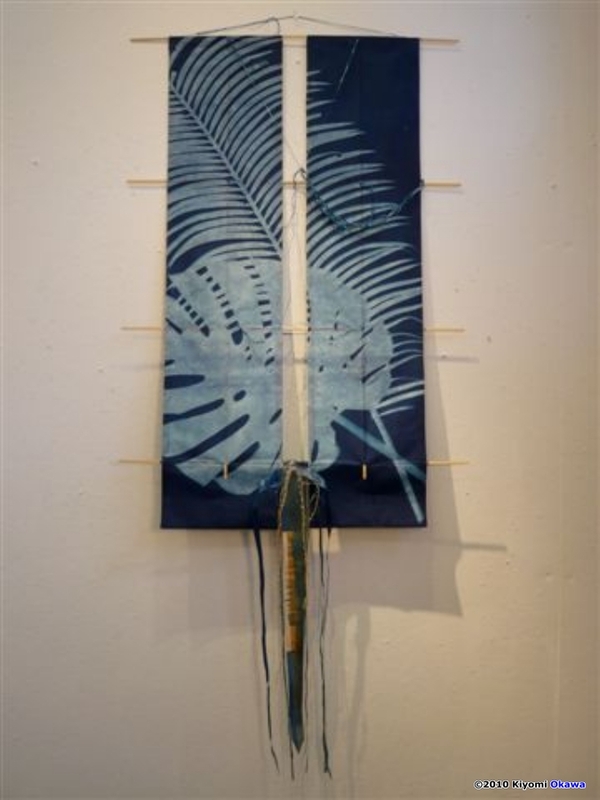 The Drachen Foundation has been privileged to collaborated with him in many of our past projects, demonstrating miniatures kites against the 45 foot Shirone at the National Gallery in Washington DC to the organic plant designs cyanotypes created in Maui with world class artist, photographer Susan Robb. He continues to develop new kite designs as he follows his love of miniatures. Venturing into the realm of contemporary art kites, he has made kites bridled to fly either frontwards or backwards, has embedded the frame between laminated paper sheets, and has made free-form frames for graphic-driven art. No one has been so diversely untraditional than that of Yoshizumi. Besides being a great artist on his own, he is never too busy to help someone else out with their art kite trials and tribulations. Serious kite makers learn to become as exhaulted as Yoshi, they must do what their sensei does without question. Scott, Susan Robb and Katie Davis have all been seen to develop the “Yoshi bag, “ a rectangle shaped lined straw bag which host every tool known to humans for almost every repair needed, be it for kites or everyday life. 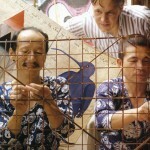 The kite world has lost a great friend in Dr. Paul Eubel and we will remember what he created for us, but we should also remember and honor his friend, Nobuhiko Yoshizumi, who continues to quietly work behind the scenes and is one of our great kite making stars. In the passing of Eubel, we realize through Yoshi that all is not lost, the legacy of art kites will continue as Yoshizumi will work to help care and preserve this great collection for generations to come. (Dr. Paul Eubel died on June 23rd in Palermo, Italy, at home with his wife Maria Teresa, and two boys, Tilman and Nauel. The Art Kites remain in Italy, safely stored away). 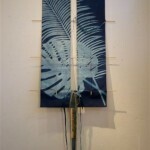 This entry was posted in 2010, Drachen, Issue 73 (Jul/Aug), Kite Columns, KL Archive and tagged art, drachen.